But why stop there? The warm grains are sprinkled with coconut palm sugar (so full of flavor that you only need a smattering); toasted coconut flakes; and luscious, ripe persimmons – all of which offer the most delicious contrast to the chewy, hearty steel-cut oats. Step 1: Place the water and coconut milk in a medium pot and bring to a boil. Add the salt and oats and stir well. Once the mixture comes back to a boil, reduce heat to low and cover the pot. Slow-simmer for 20 minutes, stirring occasionally, until the oats are cooked and all the liquid has been absorbed. Turn off the heat, stir well and let stand uncovered for 5 minutes. Step 2: Place the coconut flakes on a small baking sheet and bake for 2 to 3 minutes until golden. Remove from oven and set aside. Spoon the oatmeal into bowls. Sprinkle with the desired amount of palm sugar. 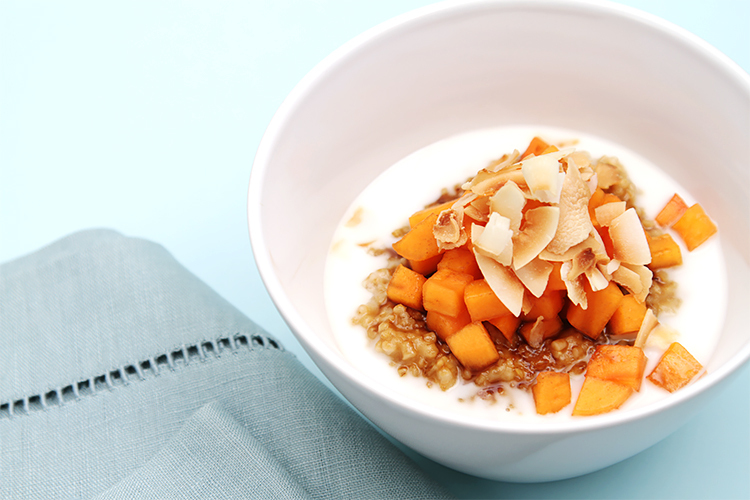 Top with the persimmon pieces and the toasted coconut flakes. Drizzle with coconut milk and serve. Persimmons are absolutely superb with the coconut milk, but other exotic fruits – like mangoes, papayas or even bananas – are delicious here too. Just make sure to pick a fruit that’s soft and fleshy rather than crunchy – a much needed contrast to the grainy oatmeal. For a fall or winter fruit that’s closer to home (if your home is not in the tropics! ), try ripe pears. On a different note, I use light coconut milk in this recipe, because it has a third of the calories of regular coconut milk, with no discernible difference in flavor. I also recommend buying organic coconut milk, as the non-organic products tend to be loaded with preservatives. A ripe persimmons qualifies as one description of heaven for me. 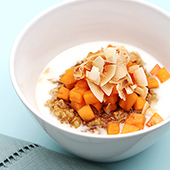 this oatmeal, with coconut milk, sounds absolutely divine. My husband loves oatmeal and persimmons dearly…this is for sure the perfect breakfast for him. 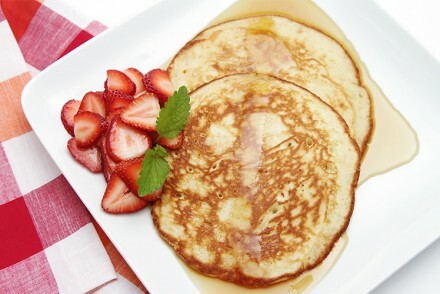 You make the simple breakfast so beautiful and irresistible. Love the video and the oh so healthy oatmeal! This is breakfast in the morning! I have some persimmons that are just begging to be eaten and I can’t think of a better way to use them. Thanks for sharing this. It’s quite lovely! What a gorgeous bowl of oatmeal! 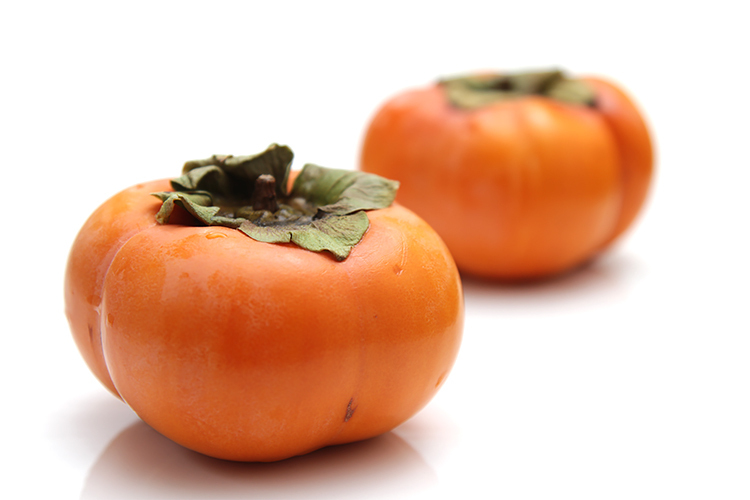 I love persimmon but have never thought of serving them with oatmeal and certainly not coconut milk. What a great combination of flavors! MJ, my apologies for this late reply… and thank you so much for letting me know about this recipe. I am over the moon that you loved it! Indeed, Mary… Thank you so much for dropping by! We often have oatmeal for breakfast with sliced bananas. 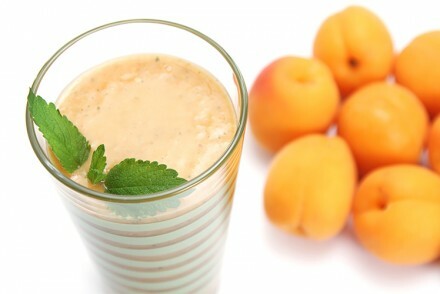 The addition of coconut and sweet, vibrant persimmon would be a scrumptious break from our daily routine! 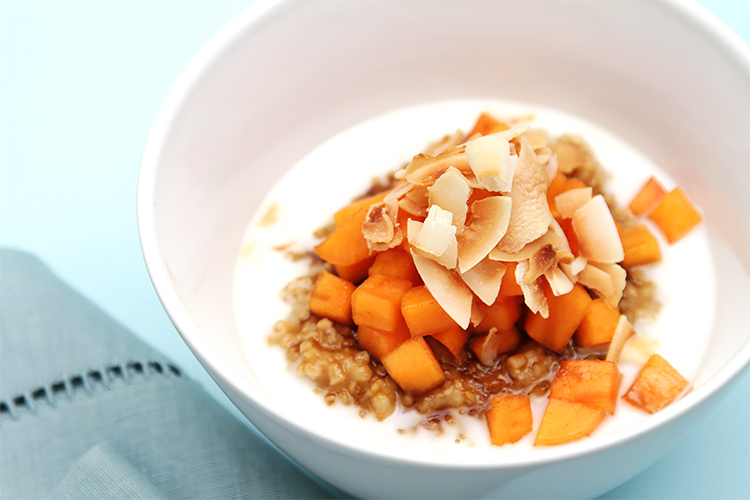 HI Deb, I’m with you… Persimmons do brighten up this bowl of oatmeal! This is gorgeous Viviane! Would never have though to use persimmons this way. Just pinned! Toni, Thank you so, so much! Exactly! What could be more delicious and comforting than a bowl of homemade oatmeal! I love the add of persimmons.